CD shops have all but disappeared, Apple’s iPod Classic has been assigned to the scrap heap and the uber-cool are discussing their latest vinyl purchases in espresso bars everywhere. So, just what is going on in the world of music? 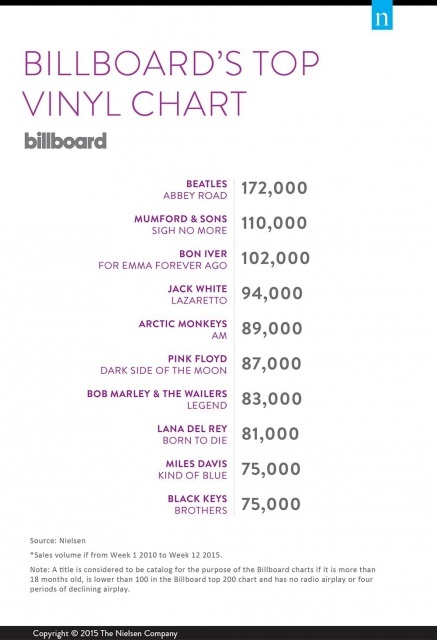 Firstly, it looks like vinyl is back and it won’t be going anywhere anytime soon. Vinyl presses, some of which haven’t seen the light of day since the 1980s are being dragged out of warehouses everywhere in an effort to meet the rising demand. Nielsen Soundscan reports that 9.2 million vinyl albums were sold in 2014. That’s the highest number in 20 years and a significant increase on the 6.06 million units that were sold in 2013. Vinyl sales have, in fact, increased by over 220 per cent since the beginning of the decade. What’s also significant, as reported by http://www.digitaltrends.com, is that vinyl buyers are largely music fans under 35 years of age, which seems to indicate a bright future for the medium. Meanwhile, CD sales have seen a steady decline. 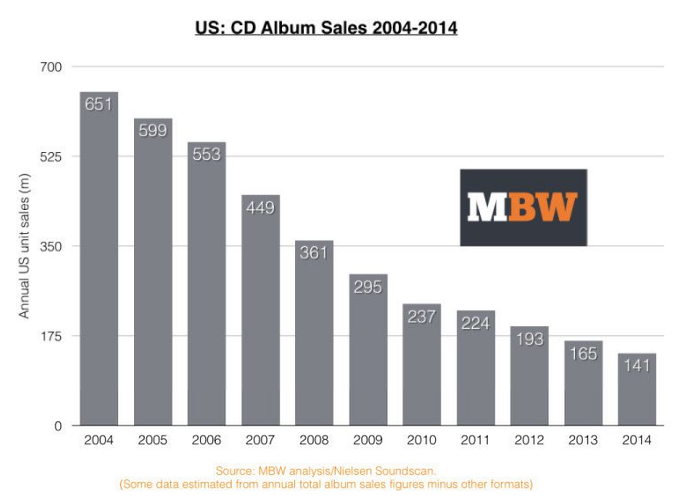 According to Nielsen Soundscan, CD sales dropped by 15 per cent last year and have been nosediving steadily since 2004. What may surprise some people, however, is that digital download sales are also seeing a downturn, leading Apple to ditch the 80 GB capacity iPod Classic in favour of the much smaller, multi-use iPod touch. Spotify seems to be the leading player in a relatively new medium of music consumption which is definitely on the rise: web streaming. As of January 2015, Spotify had 15 million paying subscribers and a total of 60 million active users. Why bother paying for digital downloads that will only clog your phone’s hard drive, when you can listen to music any time you like for free on Spotify? Well, that’s the question isn’t it? What does this all tell us? Is the CD going the way of the dodo and taking with it its baby brother, the MP3? Is the resurgence of vinyl to be attributed to a change in attitude on behalf of music fans whereby they are no longer willing to sacrifice quality for convenience? Or is it a case of fashion rather than passion? Glad to hear it Jed! Thanks for keeping the faith! Next Next post: Rory’s Mountain Dew: Number 1 in Hot Press!